Frances Winston reviews this Irish film and feels it is one of the best yet, which will leave a lasting impression. Michael Inside hits cinemas with the benefit of a Best Picture win at the IFTAs behind it, which is sure to generate interest from the cinema-going public. In fact, it has been widely acclaimed and praised – so much so that you might think it’s too good to be true. It’s not however. This is part coming-of-age drama and part prison drama. Both genres are well-worn, but the fusing of the two is unusual. 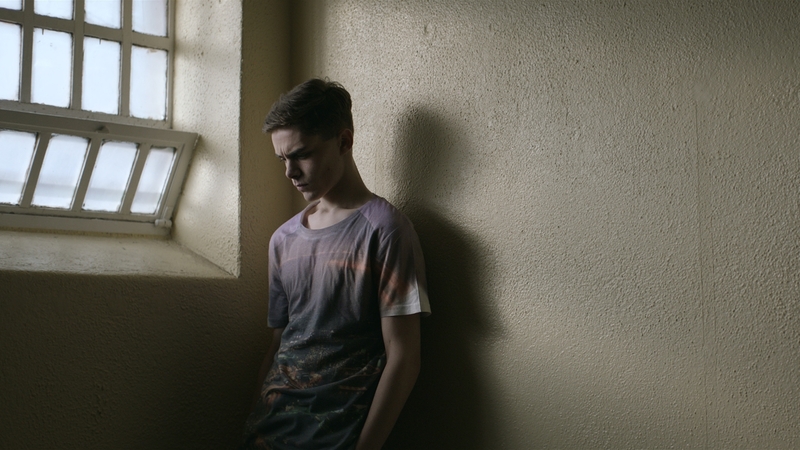 Here the eponymous Michael (Dafhyd Flynn) finds himself incarcerated, after he foolishly holds drugs for a friend’s brother. Although he acts like a tough guy, prison is something of a rude awakening for him. Just wanting to keep his head down and do his time, some fellow inmates have other ideas, and once you are in the system it is difficult to get out. Somehow Berry has managed to totally avoid prison-movie stereotypes. There are no good-guy mentors taking Michael under their wing. No allusions to sexual tensions between the men. No brutish prison guard ruthlessly lashing out for no reason. This makes for a refreshing watch, and ensures you remain interested. In other hands, this could have been a totally depressing and turgid pity-fest. But Berry has managed to create a multi-layered piece. He deals with the ripple effects of Michael’s actions for all concerned, including his family and friends, and he does so without judgment throughout, allowing the audience to make up their own minds. Everything here is well-thought-out, from the colour and textures to the soundtrack to the almost claustrophobic cell-shots. Flynn is an excellent choice for the role of Michael. He plays him restrained and thoughtful, and looks youthful enough that you feel for his predicament, but not so much that you think him completely naïve. He works especially well with Lalor Roddy as his grandfather, who stands by him through everything. There are one or two scenes that will somewhat shock, but overall, Berry has kept the violence pretty low-key, particularly for a prison drama. When it happens though, it is raw and visceral, and feels very real, rather than something staged for the screen. Completely compelling, this is one of the best Irish films in years, and will linger with you long after you leave the cinema.